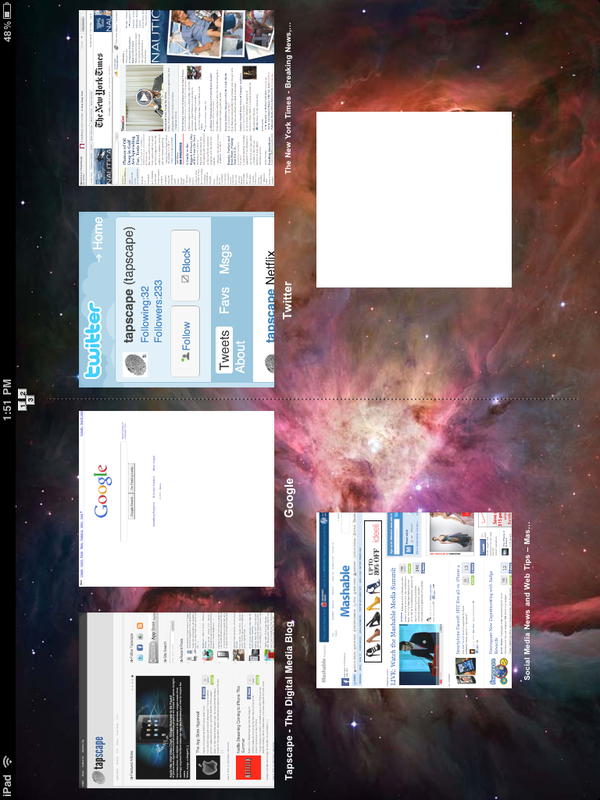 Sometimes it feels like multitasking on the iPad can’t possibly come soon enough. For anyone who tries to use their device more like a laptop than a reader, you know exactly what I mean. Copy something from the internet, close that window, reopen another (which inevitably has to reload at the most inopportune time), and then do the same again. Trying to toggle between tasks can be an absolute drag. 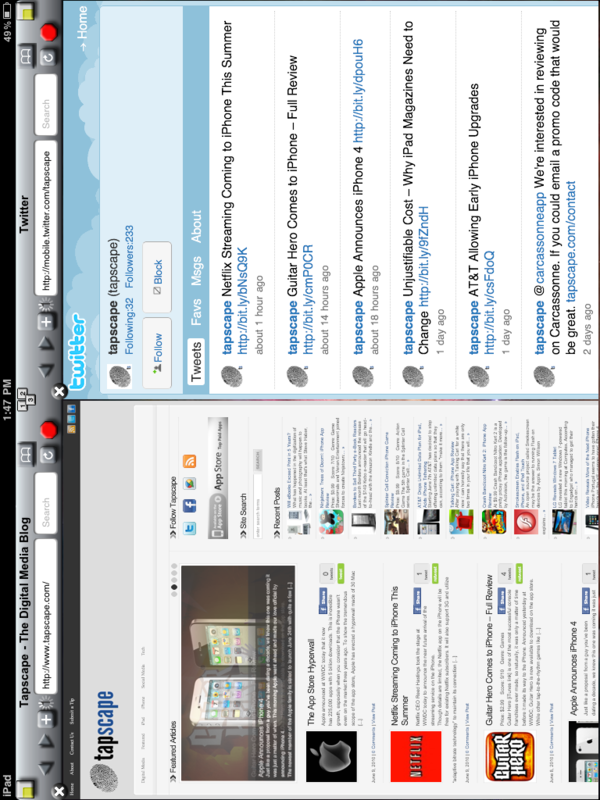 At least it was before I saw TwoView, a multi-window browser that solves at least some of our multitasking woes. TwoView may not work in with every program on the iPad like we wish it did, but it starts by bringing multitasking to one important place: the internet. The app is a Safari alternative, so can be accessed with O2 broadband packages or whatever internet provider you use, that splits your screen into two windows like the ones that would appear when you jump into two player mode in a video game. The app works in both portrait and landscape mode, and either way the browser is easily readable, and as a whole the internet works exactly the same. Same touch scroll, same zoom in, zoom out touch functions, and the same ability to play YouTube videos embedded into web pages. The makers of TwoView have also placed a search box next to the URL entry bar so it’s convenient to search without having to navigate to your engine of choice, and just like Safari, there is a place for history and bookmarks. One esoteric feature that I like more about TwoView than Safari, is that when you scroll off of a page entirely, you see the signature Mac space and stars background as opposed to that ugly gray denim crosshair equivalent you sometimes come across when you scroll past the bottom of a webpage in Safari. 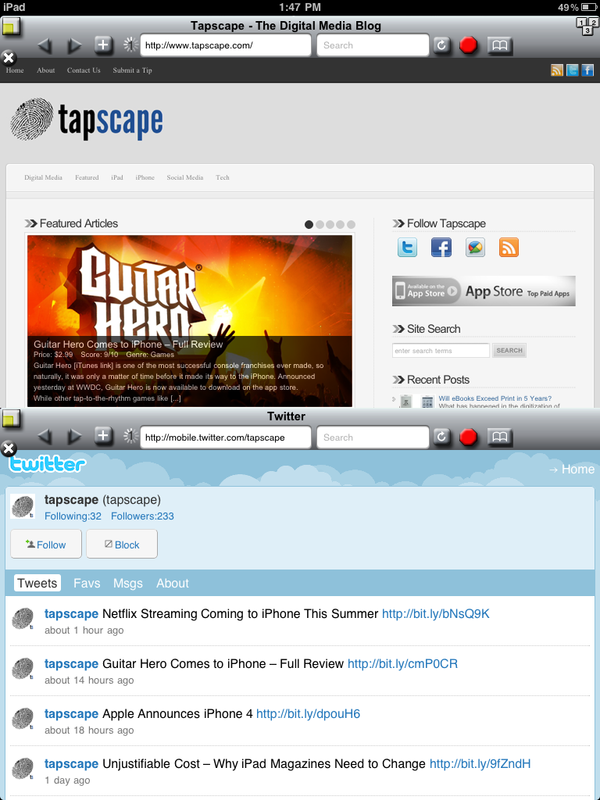 Overall, TwoView delivers similar functionality to Safari, but there are many differences in the details. For starters, TwoView has a very retro silver themed aesthetic in the top navigation bar. Two silver triangles serve as the back and forward buttons, and there is a stop sign as well as reload button. 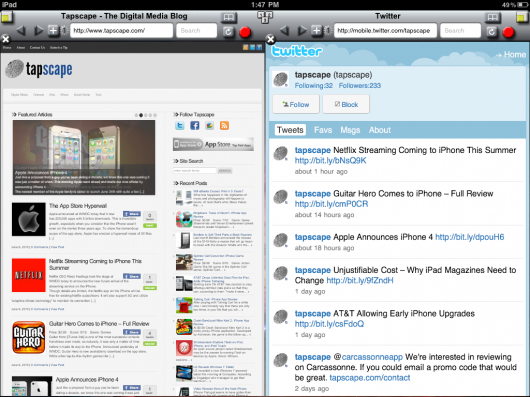 There is also a plus mark that allows you to add a bookmark, open a page in another window, and open a page in Safari. Unfortunately, there isn’t any email a link functionality and in future additions I would also like to see the ability to sync bookmarks between Safari and TwoView. 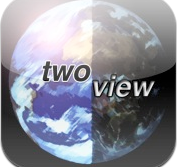 Despite those opportunities for improvement, TwoView excels in its one touch ability to toggle between dual, singular, and multi-window landscapes with various visually explanatory buttons. If you’re the type of person who likes to have Twitter, Facebook, or Google Docs working next to whatever your reading, this app is your Godsend.